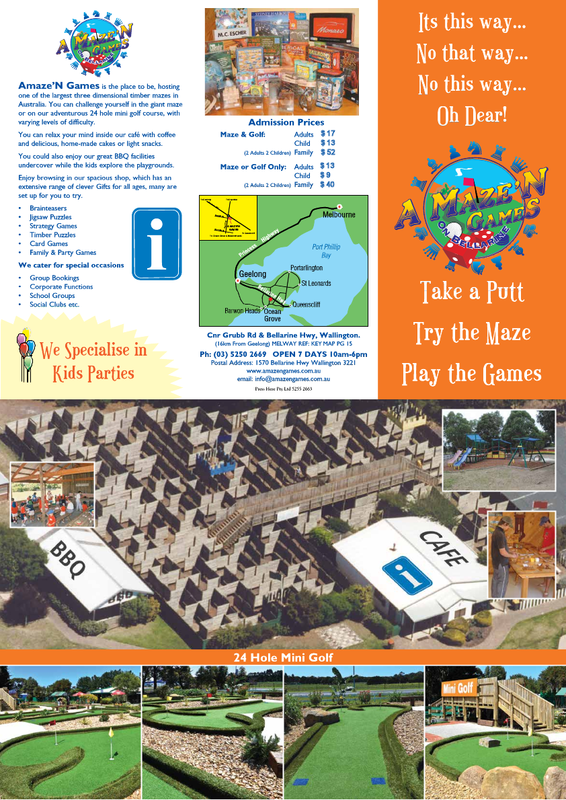 A Maze N Games provides an official Visitor Information Centre stocked with interesting and informative brochures on local attractions. 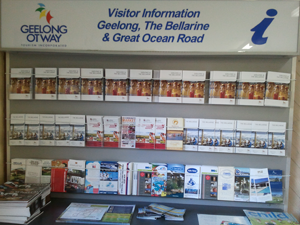 Learn all about the Bellarine Peninsula region and surrounding areas including Geelong, Ocean Grove, Barwon Heads, Queenscliff and Great Ocean Road. Discover what to do in the region whilst relaxing inside our cafe with coffee and delicious home-made cakes or light snacks. Let your children solve the maze while you enjoy browsing in our spacious shop, which has an extensive range of clever gifts for all ages; many are set up for you to try.